I watched a woman pull into the driveway where I had my first car accident which involved a blue Ford van and a sideview mirror. Then she carried groceries into our old kitchen and I looked through the windows to see they’d had new cabinets installed. I wondered who lived in my old bedroom now, and if the BB gun hole was still in the window, shot there by the previous owners’ sons. I bet the woman in the driveway didn’t know they used to grow pot in the basement. I don’t get down to Louisville that much anymore. Almost all of my high school friends have moved away, just like me. But it is one of the few cities in this country that has my memories seamlessly integrated into its edifices. I can’t drive down a road without triggering a memory. There’s the house where my best friend in 8th grade lived before her family moved somewhere only the army knows where. There’s the music store where I learned to play flute and met the man who plays the trumpet at the Kentucky Derby. There’s the pet store where I got a cuddly little guinea pig who used to rattle her cage to beg for lettuce. But every time I drive across the bridge into Kentucky, I notice that the building with the curved top is not supposed to be there, though it was built years ago. The Vogue Theatre where I first saw The Rocky Horror Picture Show is now a clothing shop. The Hallmark store I visited to harass a friend during his work hours is now a tapas restaurant. The Winn-Dixie has been obliterated, replaced by a prefabricated, yuppy mall with roundabouts and cobblestones. They’ve widened Westport road. And the purple house at the end of our street, the one that lit up so bright during Christmas that I never missed the turn, has been painted a respectable taupe color and is missing its gaudy lawn ornaments. I think its owners moved away too. I know the roads of this town, but I recognize the city less and less. I see so much that is no longer there. I guess cities are like people. They tear themselves down and build themselves up. They change without asking your permission. I will always remember my city the way it was, but now I see what it has become, and I have to accept it as it is. I live in the city where I was born, but I spent several years mostly away (university), so I know what you mean. When the familiar landmarks by which we navigate are changed, it’s a jolt, even if it’s something we don’t particularly mind changing. At the conclusion of this post I went, ‘I love PastaQueen,’ as I do after every one of your posts (well, except the ones where you scream at us readers, lol). You write beautifully. stores, gas stations, houses etc. that are no longer there. 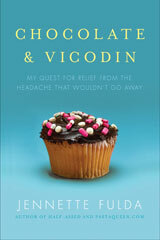 I was looking forward to reading something about food and weightloss. Nevertheless I was deeply touched by your story. Here is mine: I was born in Sardinia and everytime I go back, very occasionally I get mad when I see any new building. “How dare they build in my hometown without asking my permission? uhm? I am particularly irritated by cement and steel covered in dark glass without any windows – only airconditioning….bleahhh!!! 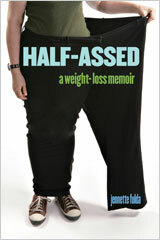 I am currently writing my own blog: Fatdess. Come and have a visit? This seriously brought a tear to my eye. My family and I were pretty much forced out of my childhood home when my grandmother decided to sell it. I have a hard time driving past it, even now, and wonder similar things as you do… Thanks for the bit of nostalgia! I grew up with a military father, so we moved a lot. But when I was in 6th grade we settled in an area in northern VA. It was beautiful-rolling hills and trees. We stayed in the area until I graduated, then I met my now husband and took off. We’ve been out of the east coast area since 97 and I haven’t gone back. They DEMOLISHED the housing area we lived in. It was on a military base that has since shut down. Just hearing about the grass growing in the middle of used-to-be bustling streets sickens me. I think it’s been long enough now that I’m ready to face it. But your post rang a chord with me. I love your analogy about people and cities, that they change without our permission. You can go home again but you might not always like it. So true as we progress through life. Nice post. That’s how I feel about the entire country. Ps. Begging for lettuce…who does that?!? What an interesting and perfect analogy! I moved away from my home town eight years ago. I moved TO Louisville from a small town in Michigan. Louisville has changed a bit in the eight years I’ve been here, but you don’t notice the gradual changes as much when you’re around. Every time I go back to Niles, MI, I’m shocked at what’s gone, what’s new, and what’s different. That was a really great post, and one I identify with. I recently sold the first house I ever bought, and it pains me thinking of what the new owners might do to MY house. I moved to a different city, and even though we have only been gone 10 months, things are different “at home” already. Stores opening and closing, houses built and painted… you’re right, and once again, I love this post! @David Crowell – I’m from Niles originally too! I think South Bend has changed alot too! This post struck a chord with me as well. My Mom lost the house I grew up in when I was around 22. I loved that house. It was tiny, it needed work, it was stuck in the 70’s with it’s tongue-in-groove wooden walls and it’s rust colored carpet. But I loved it. And I loved the size of the yard. You don’t find that nowadays. And I loved the two lilac trees that grew in the front of the house, and sitting on the couch looking up into the mountains and deciding that I wanted to climb up to the spot with the prairie grass and the single tree someday. I also loved that all I had to do was walk across the street and across a ballpark to get to the hills, where I could climb up and be greeted with a sea of wildflowers. Now, “my” house has been redone, the lilac trees are gone, additions have been made to make it bigger, the unique turquoise and pink siding has been replaced with a “respectable” white, the fence that always needed painting is gone, as are the gates that made a cheerful “you have visitors” creak when someone entered them. If there had been a way to bottle up the feeling I had when I was truly “home” and take it with me in a vial, it would never leave my sight. I visited Indianapolis many years ago. It was memorable because it was my first introduction to Steak-n-Shake. Quite the memory. I loved the thin, crispy fries and thin, greasy burgers. Lots of thin food there. Which didn’t translate to anything else being thin. Especially not me after I ordered a shake post-burgerfest. @TiredOfWorkingOut – OMG, Steak N’ Shake milkshakes are the BEST. If I have a milkshake, I get it there, because if I’m going to splurge I’m gonna’ splurge good. Beautiful photo — did you take it? I love the downtown skyline here. Hey, PQ! I, too, lived in Louisville when I was younger – we moved away when I was in high school, and it was very traumatic as only things can be when you’re a melodramatic 15 year old. I remember reading in your archives that you played Quick Recall, and I wonder if we ever played each other – I went to Myers and I’m only a little older than you. That would be funny. Since I left Louisville so young, I have “discovered” it as an adult and love it. I’ll never forget the time I went back on drove on the Watterson – I was a grown woman, but driving on the highway in the town I had been a child in was so amazing! I’m a dork. I loved reading about the city you use to live in. It reminded me of the city I use to live in as a kid. I haven’t driven through it in many years makes me want to drive through it. Great story. 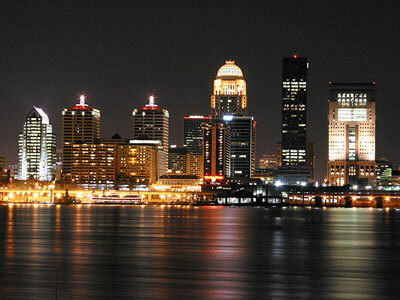 @Jen H. – Though I’ve lived elsewhere, Louisville is also my home and for most of my life has been. I remember driving on the Watterson for the first time – I heard my grandmother talk so much about the horrible traffic when I was a kid, I was shocked to not fear for my life on that very road. The night time view of the city is gorgeous – I don’t think any city could be prettier. Imagine my surprise drifting onto this blog after looking up “Half-Assed” on Amazon to see “my” skyline…well, I have to buy the book now! @Lydia – And I remember sitting outside the theater with my boyfriend at the time, after the movie we’d seen, watching the “Rocky Horror” people starting to show up. Maybe you were there! I’m from Louisville. I’ve been away since 1989, but am moving home this summer.